The film will open in New York City on Friday, September 22nd, in Los Angeles on Friday, September 29th, and will expand to regional markets in the US throughout October and November. Subscribe to our newsletter for updates on theater announcements and ticket sales. Loving Vincent is the world’s first fully oil painted feature film, bringing the paintings of Vincent van Gogh to life to tell his remarkable story. 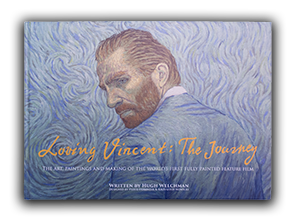 Every one of the 65,000 frames of the film is a hand made oil painting completed by one of the 125 professional oil-painters who travelled from all across the world to the Loving Vincent studios in Poland and Greece to be a part of the production.